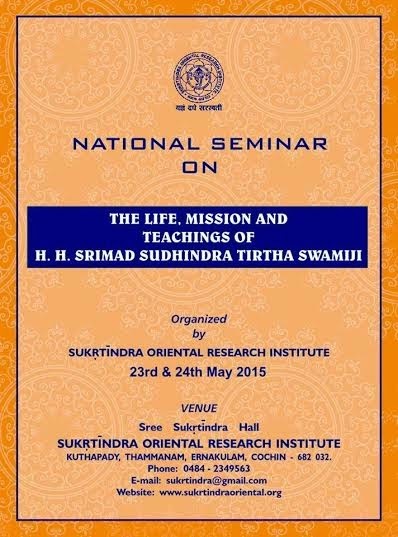 In connection with the Navati Celebration of H.H Shrimath Sudhindra Thirtha Swamiji (Mathadhipati of Shree Kashi Math Samsthan), Sukrtindra Oriental Research Institute is organizing a two-day National Seminar on “The Life, Mission and Teachings of H.H SHRIMATH SUDHINDRA THIRTHA SWAMIJI”. The event has the blessings of H.H. 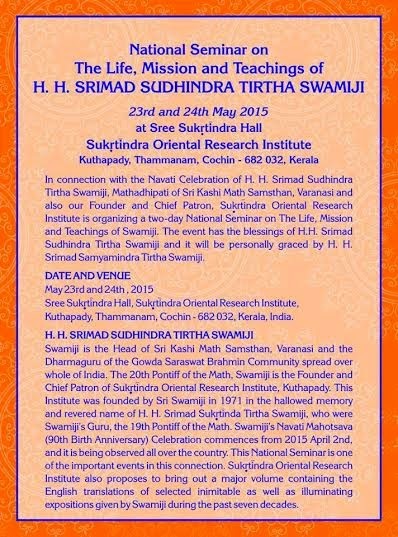 Shrimath Sudhindra Thirtha Swamiji and it will be personally graced by H.H Shrimath Samyamindra Thirtha Swamiji. 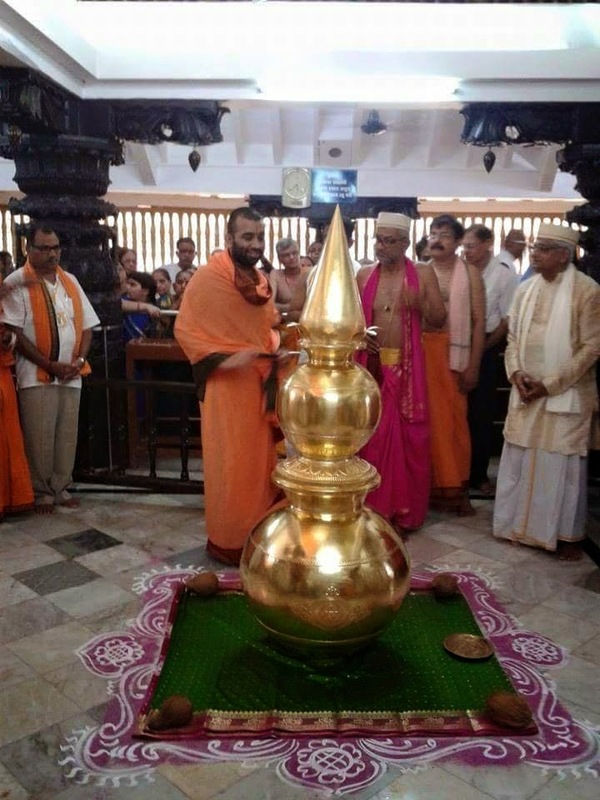 Kuthapady, Thammanam, Cochin – 682 032, Kerala, India. All those who wish to participate in the seminar as delegates may please contact the General Convener latest by 20th April 2015. 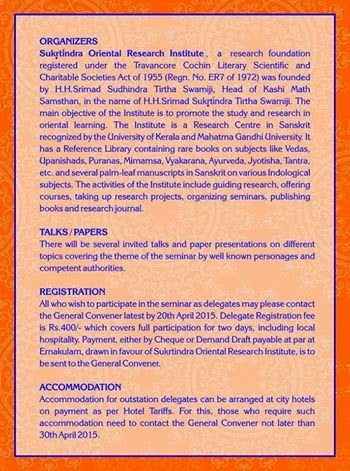 Delegate Registration fee is Rs.400/- which covers full participation for two days, including local hospitality. Payment, either by Cheque or Demand Draft payable at par at Ernakulam, drawn in favour of ‘Sukrtindra Oriental Research Institute’, is to be sent to the General Convener. 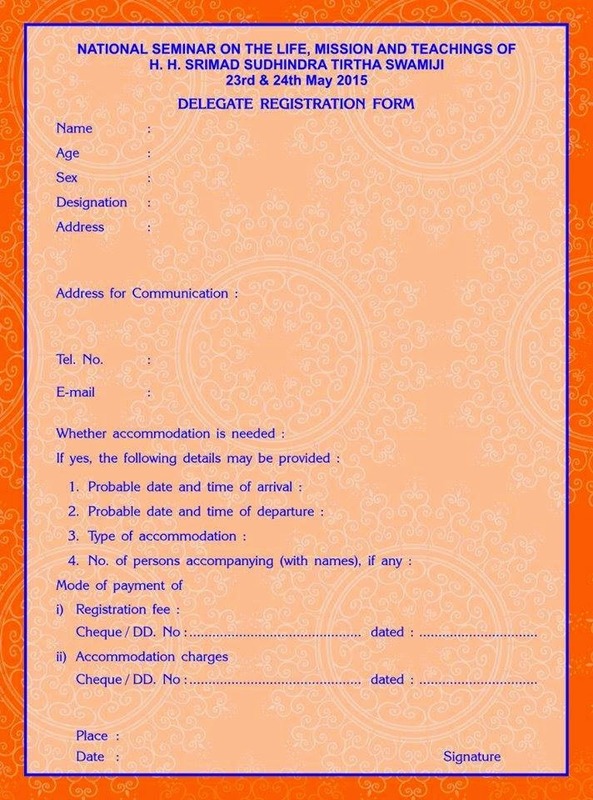 Delegate Registration form may be downloaded and Duly filled in form has to be sent to organiser. Accommodation for outstation delegates can be arranged at city hotels on payment as per Hotel Tariffs. For this, those who require such accommodation need to contact the General Convener not later than 30th April 2015. 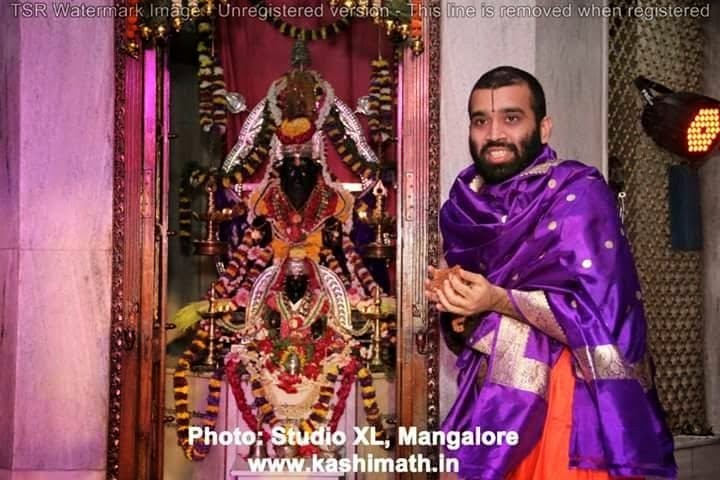 Kuthapady, Thammanam, Ernakulam, Cochin – 682 032. Kerala, India. 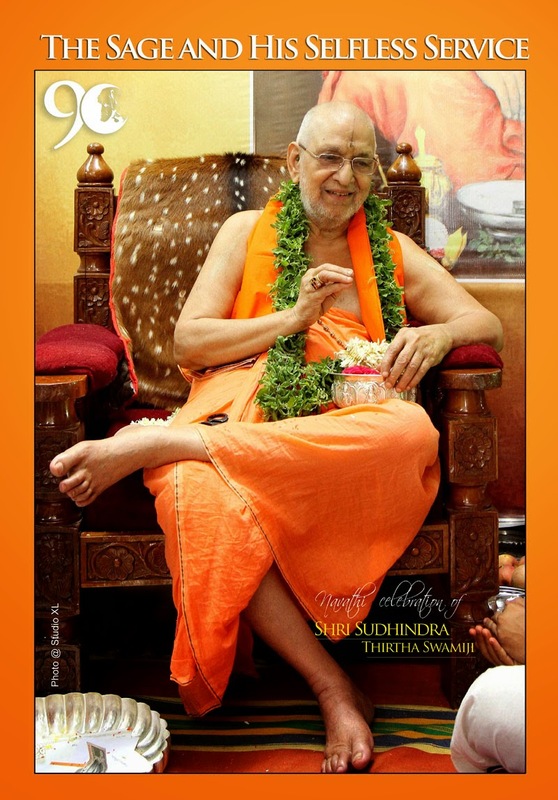 Kuthapady. Thammanam, Cochin – 682 032. Kerala, India. Palluruthy, Cochin – 682 006. Kerala, India. Koovapadam, Cochin – 682 002. Kerala, India. Kuthapady, Thammanam, Cochin – 682 032. Kerala. India. 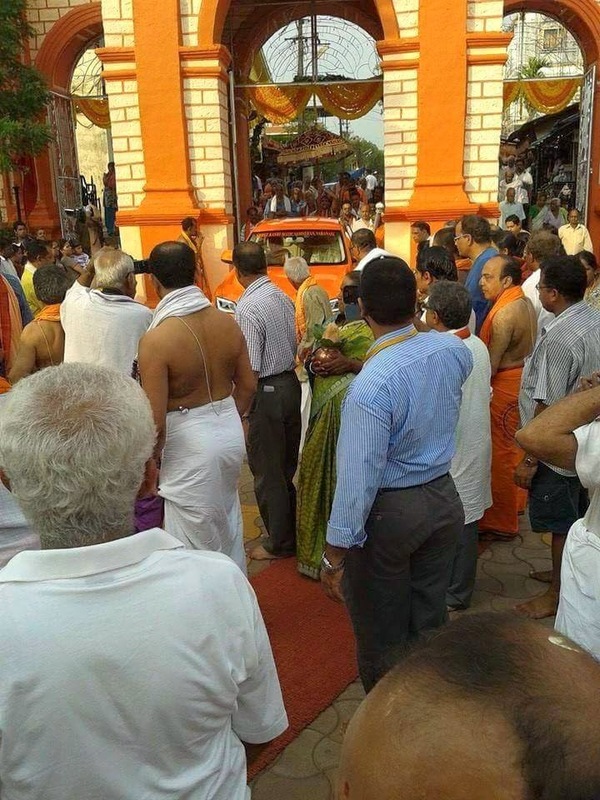 His Holiness Samyamindra Thirtha Swamiji reached Mahalasa Narayani Temple, Mardol-Goa for the Punarpratista Mahostav.